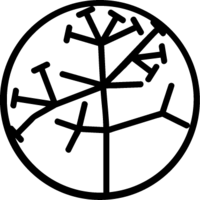 The logo is bases on Charles Darwin's first sketch of "The Tree of Life" from 1837. Darwinarkivet.dk is home to a number of Denmark’s leading experts who will provide you with information on how Charles Darwin’s evolutionary theory was received and debated in Denmark after the publication of On the Origin of Species in 1859-1920. You can find all the Danish translations of Darwin’s works and a number of articles on Darwin and evolution.